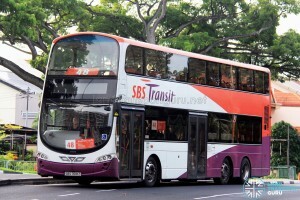 SBS Transit Bus Service 48 is a trunk service plying between Bedok North Depot and Buona Vista, passing through Bedok South, Marine Parade, ECP, Rochor Canal, Bukit Timah Rd and Holland Rd. 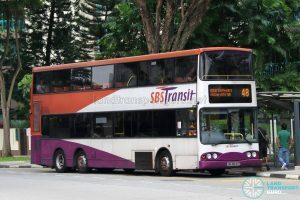 Introduced in 2005, Service 48 spans from East to West, connecting Simpang Bedok, Bedok South, Marine Parade, Bukit Timah, Farrer and Holland Village with the City areas of Bugis, Rochor Canal, Little India and Newton Circus. 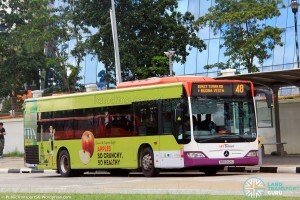 It incorporates an express sector between Rochor and Tanjong Katong along the East Coast Parkway (ECP). As a popular link between Marine Parade and Little India with little alternative routes, much of its demand is encountered along that sector. 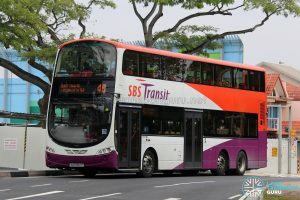 It is the only route between Holland Village and Bukit Timah Road, and has enhanced connectivity for Bedok South Avenue 3 and Simpang Bedok residents ever since its route extension in 2011, when it was extended from Upper East Coast Ter to Bedok North Depot. 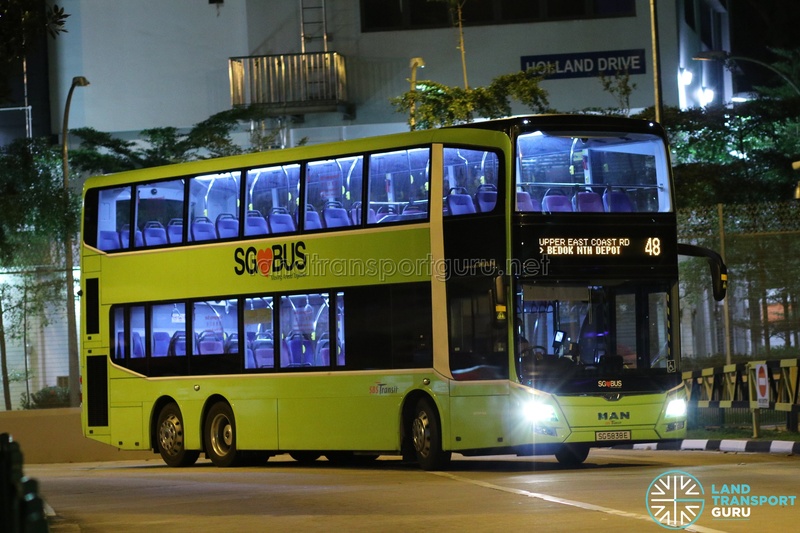 Double-deck buses were introduced to Service 48 from 28 November 2016 onwards. 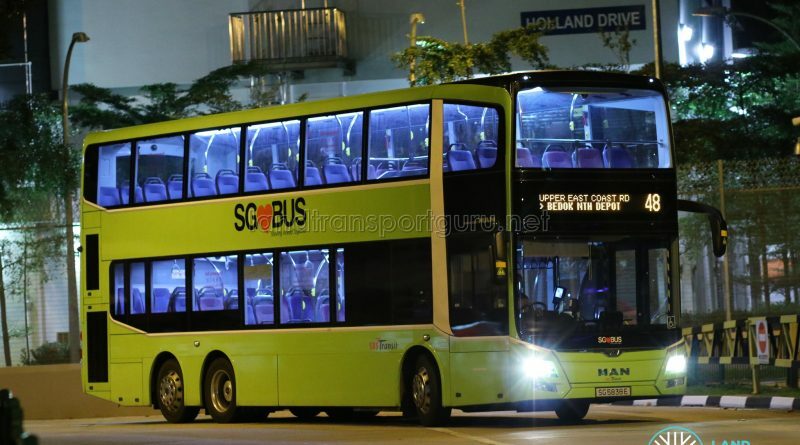 No boarding or alighting is allowed at Buona Vista Ter and Bedok North Depot. 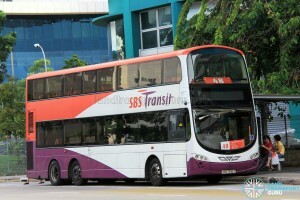 The Bus Service Operating License (BSOL) for this route will be renewed in 2025 under the Clementi Bus Package. 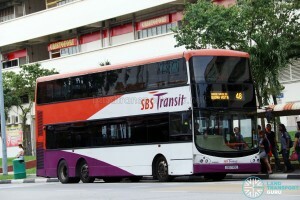 2011 (11 Sep): Extended to Bedok North Depot. 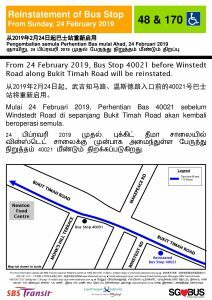 Skipped 2 pairs of bus stops along Upp East Coast Rd, now calls along Bedok South Ave 3, New Upp Changi Rd, Bedok Rd, Upp Changi Rd & Bedok North Ave 4. 2011: Amended to present routing. 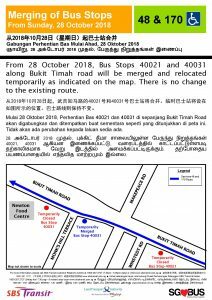 No significant route changes since 2011. 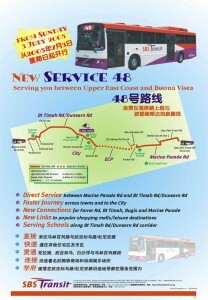 Service 48 at a glance. Click for larger image.